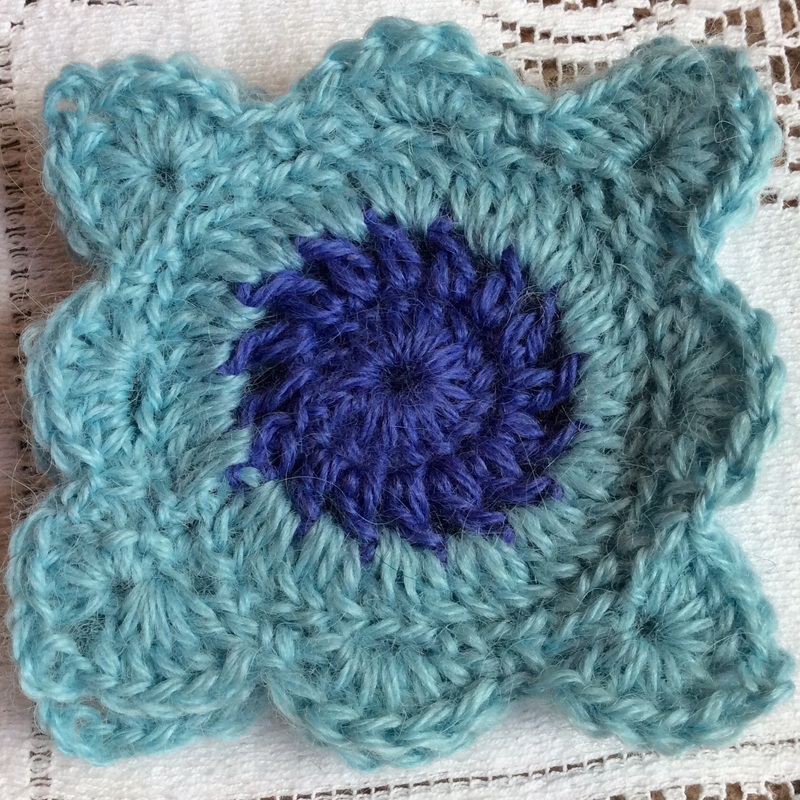 Last September my lovely crochet group said that the area of crochet in which they felt least secure was working from charts. So, I decided that the time had come to put them through their paces; I know from experience how helpful it is to have the facility to locate a stitch on a chart and see where it lies in relation to the rest of a piece of work. 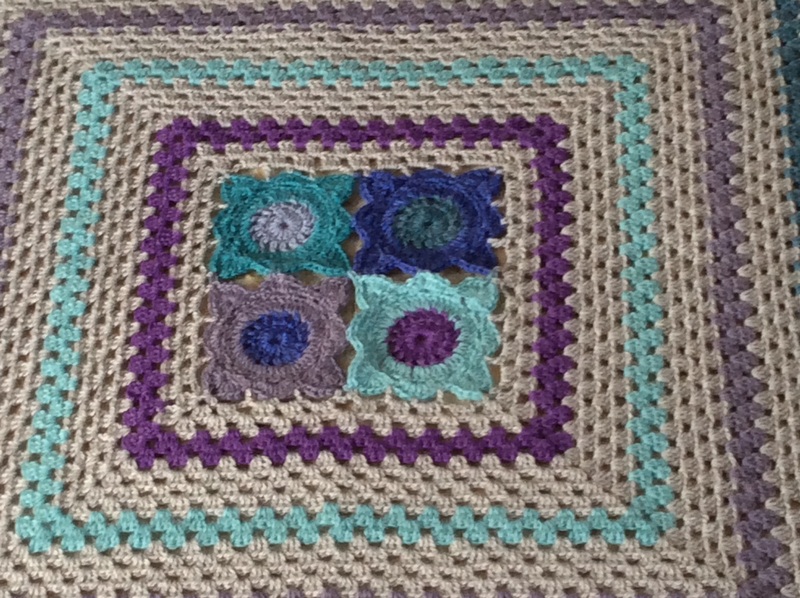 Increasingly crochet patterns offer both written and charted instructions … unlike some of the vintage crochet designs which can be so offputting. 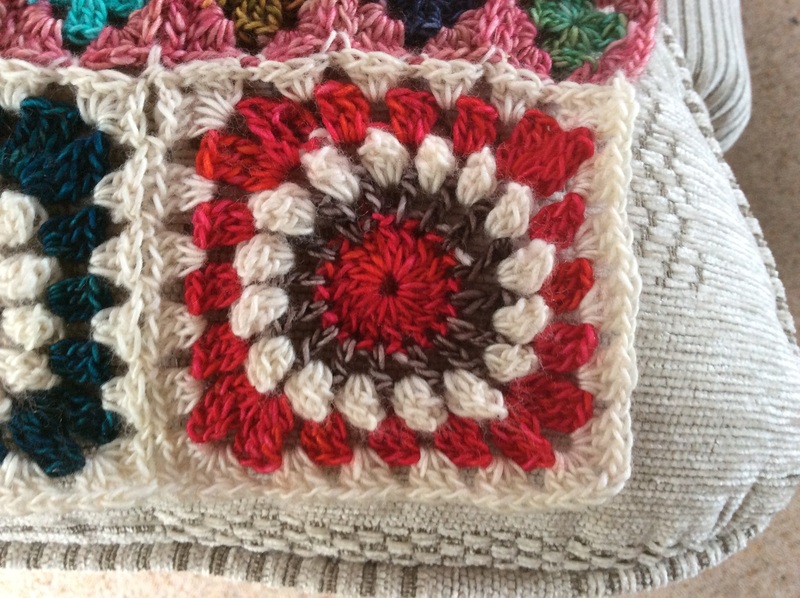 Throughout the autumn my ladies hooked their way through more than eighty squares of different colours and textures, working both in rows and in the round without using a single written instruction. 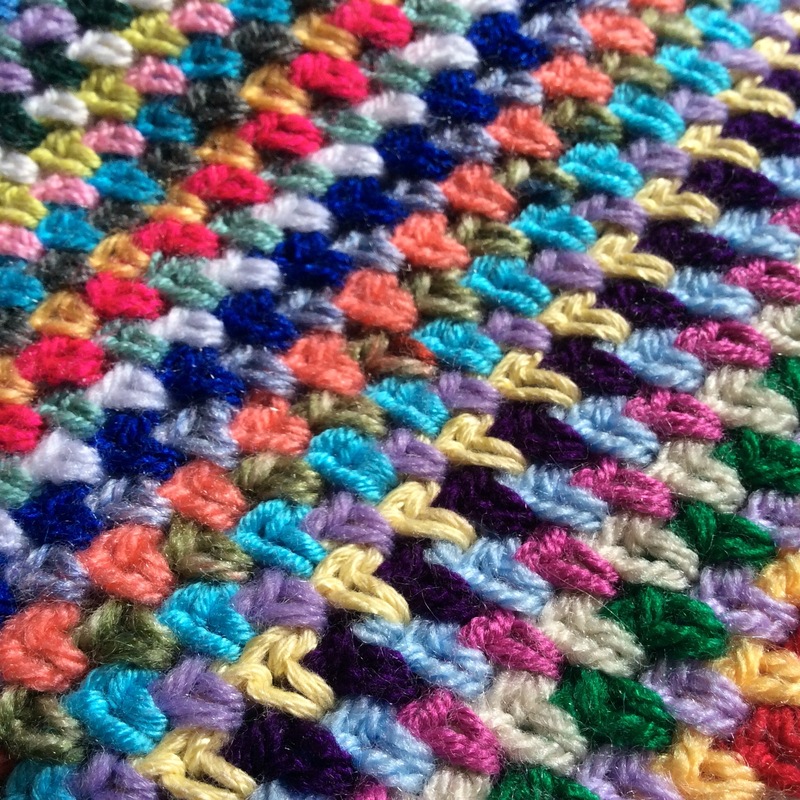 They worked from a variety of stitch pattern charts that I had been able to print off or draw out – linen stitch, trinity stitch, blackberry salad, “v”stitch, iris stitch, shells and fans, clusters, bobbles and popcorns to name but a few – until they had crochet symbols coming out of their ears! I could not bear to think of all that hard work lying unused in box somewhere and so, in January, the decision was made to join the squares. 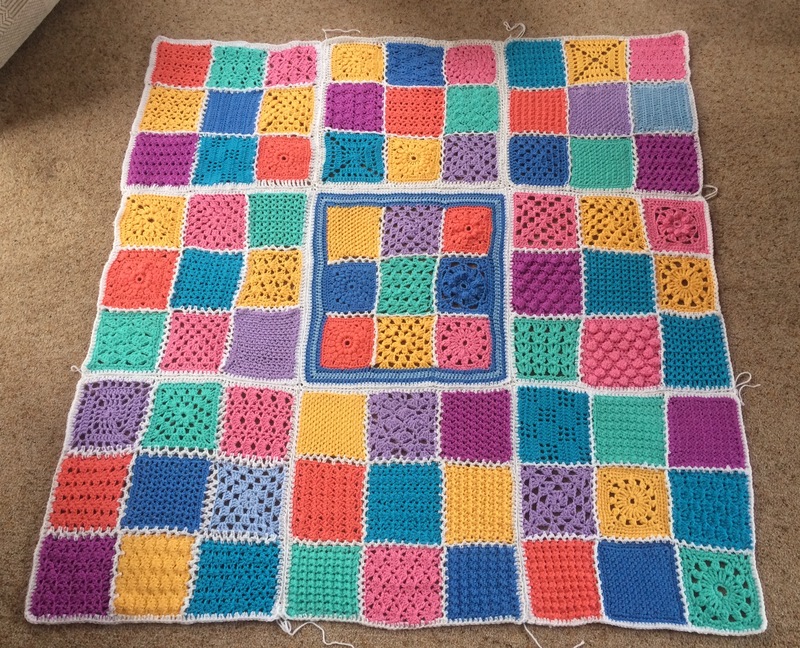 Nine ladies each undertook to join nine squares which were then crocheted together to form a bright and cheerful afghan. Disparate square size was a bit of an issue but we overcame that by using a flexible zig-zag join and I imposed some rather agressive blocking and steaming! 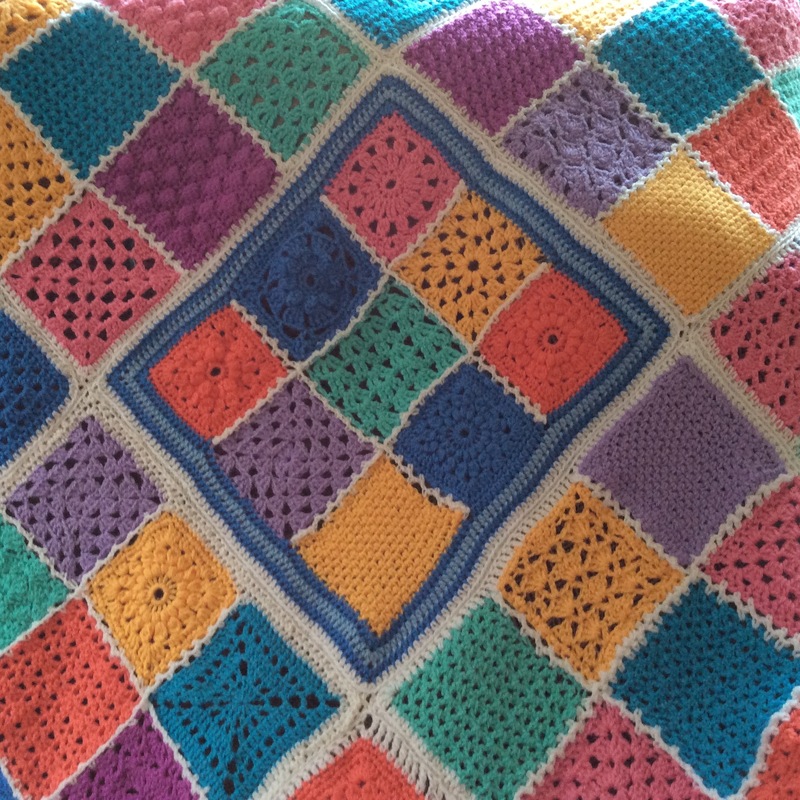 The central border, created initially to enlarge that particular square, is repeated around the outer edge. I am so pleased with the result and really hope that the exercise has given my group the extra confidence needed to take on future projects. It is amazing just how many of my group at the start of the project were convinced that they would not be able to use charts but now they find them easier to follow than the written words and abbreviations. Well done everybody … be proud of yourselves. I am proud of all the perseverance, effort and hard work you put into your work. What next? Who knows … the sky’s the limit! It’s a bit late to wish you all Happy New Year but let’s hope 2017 brings us much crafting joy and success. I haven’t written for ages …. things got rather busy before Christmas but I’ve missed you all and it’s good to be back in touch now. 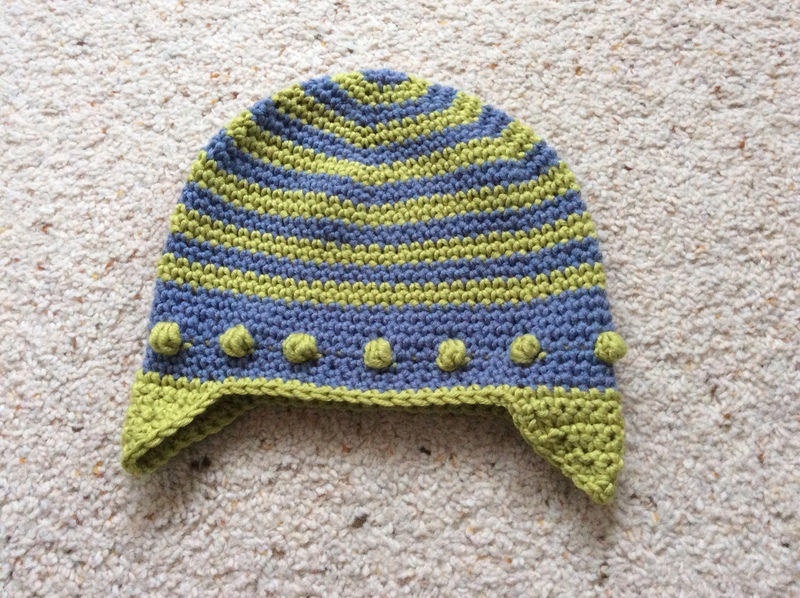 December brought the usual gifts to be made – mainly hats, beanies, gloves, cowls and a specially requested cushion for one granddaughter along with a fine shawl for another. 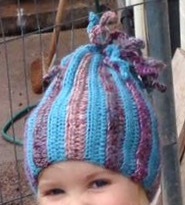 This was one of the most fun projects from a pattern found on the Crochet for Children website – Danyelpink Delaney Hat. 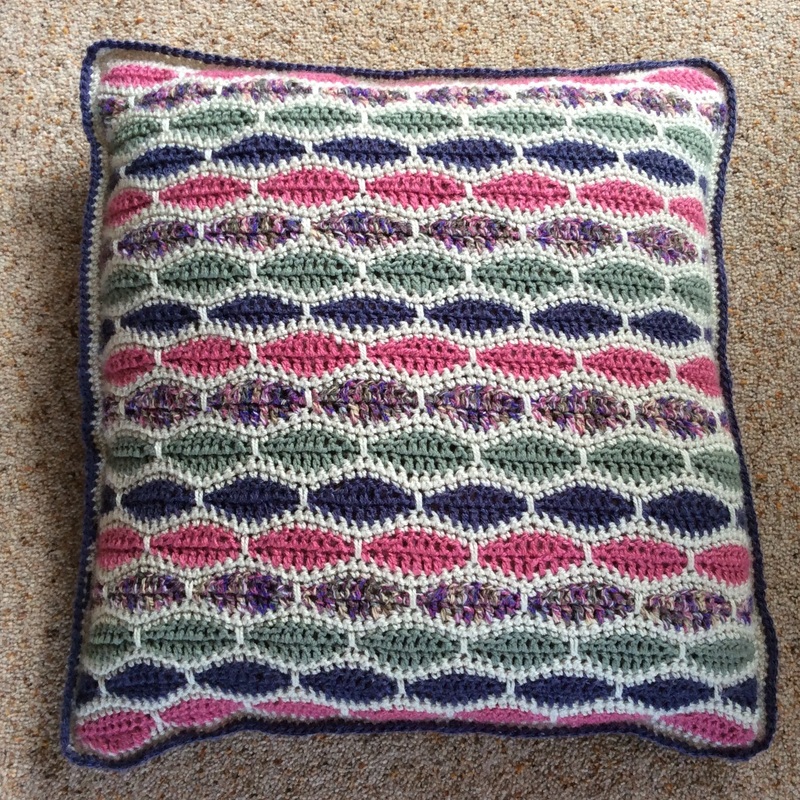 This cushion is an exact replica of one I made some time ago using the stitch pattern from Little Dolally’s Bertie’s Baby Blanket – I was quite flattered that a nine year old should choose the same colour scheme. 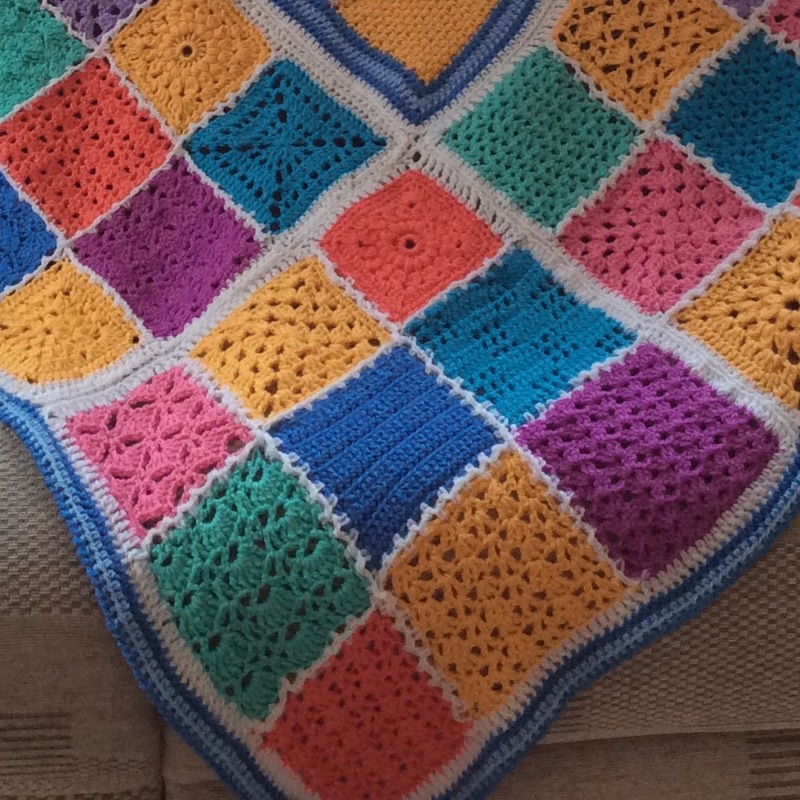 Talking of babies … some good friends are enjoying their first grandchild and although he was born in November the crochet gift was not ready until early in January. Fortunately the weather is still sufficiently cold for him to need keeping warm. 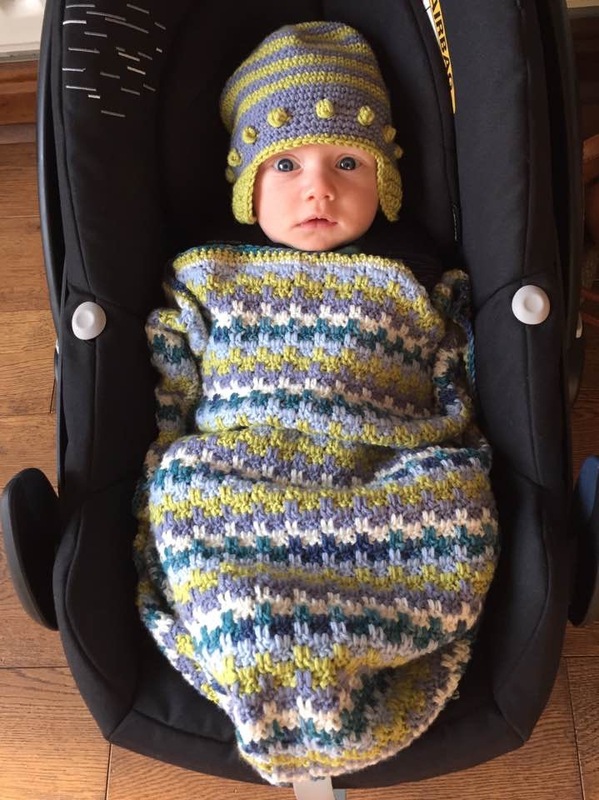 Moogly’s Leaping Stripes and Blocks comes up trumps yet again – it really is a super pattern. 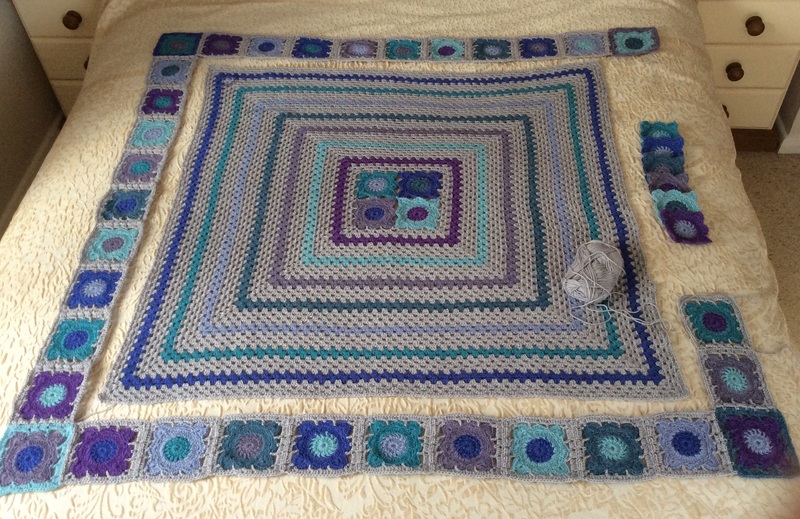 Now, it’s back to my International Diploma in Crochet and I have already got quite a bit to report from 2017 but I’m going to leave that for the moment and get this update published. Happy crafting, everybody. It’s lovely to be back with you. What joy to see the sun in a blue sky and feel a real sense of Spring at last. 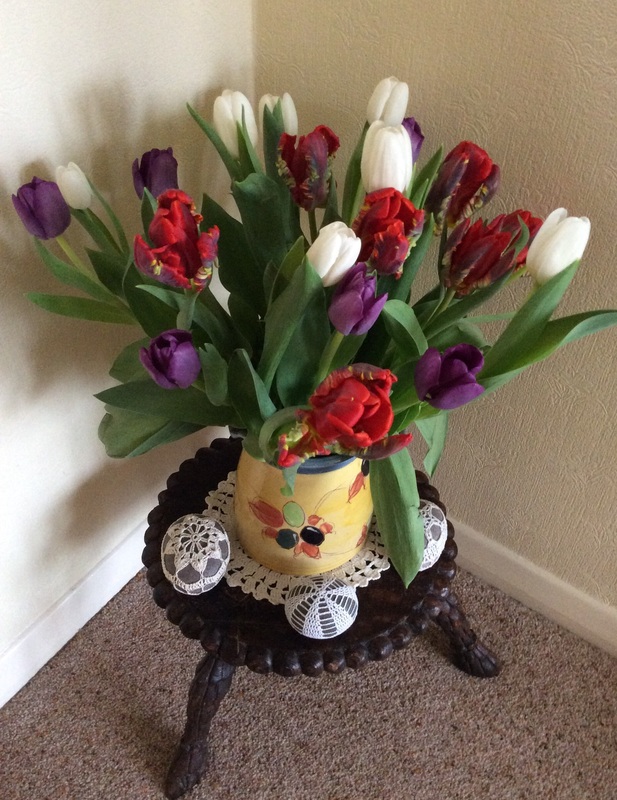 The colours of these tulips have given me so much pleasure this week and remind me what an important role colours play in my knitting and crochet. 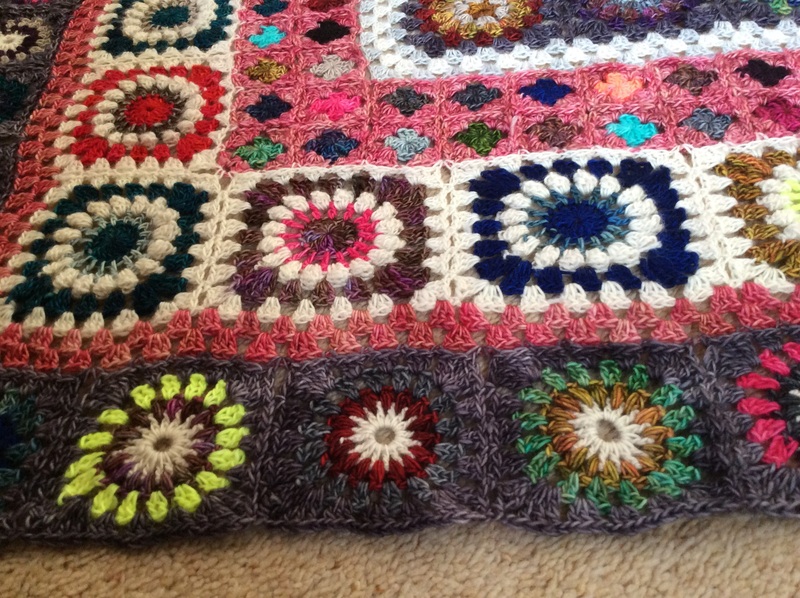 One of my lovely crochet ladies has recently been inspired by the shades of colour which she saw on holiday in India. 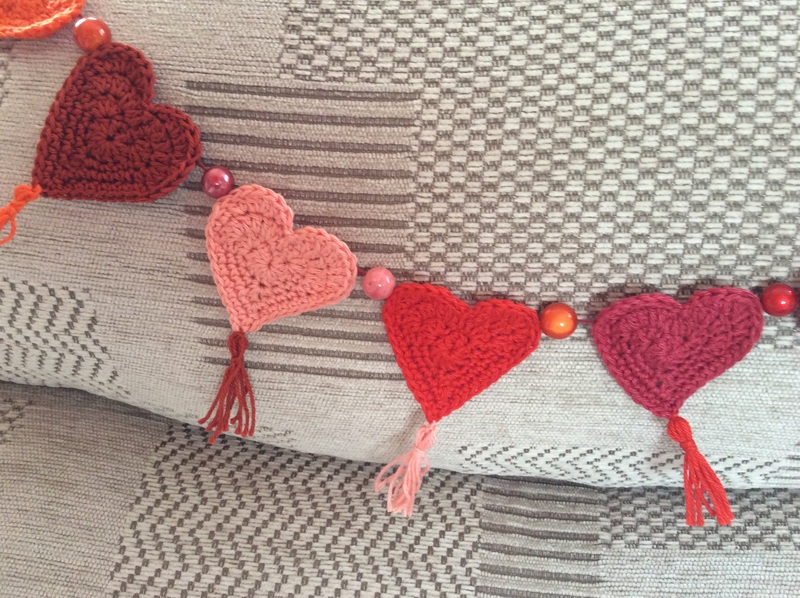 This gorgeous Scheepjes cotton yarn pack on the Deramores website reminded her of those colours and she has created truly beautiful heart motifs and bunting with it. The finish is so professional – we all love it. 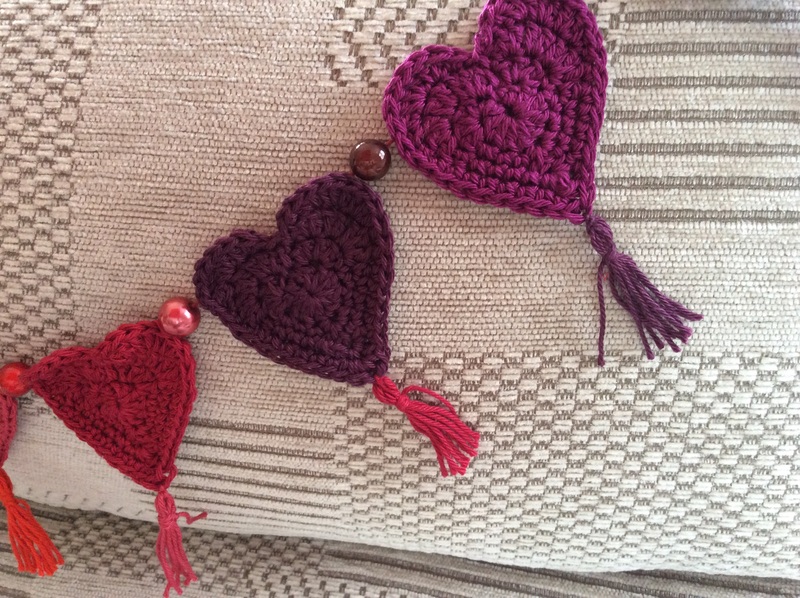 The creative talent and attention to detail which I see amongst my crochet group is amazing and one of the things that please me most is that they are constantly challenging themselves with new stitches and techniques. My Brighton Plaid blanket is coming along well; I am loving doing it as the yarn is an absolute joy to look at and work with. 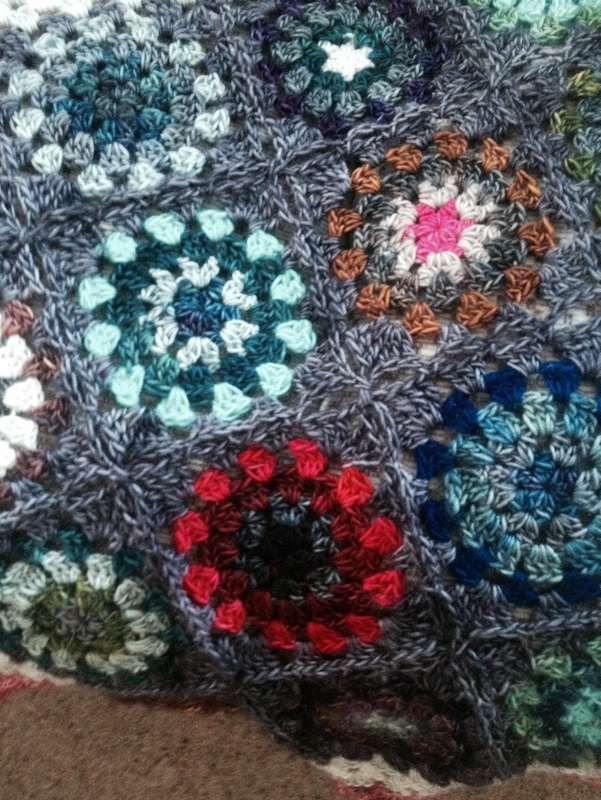 I’m on the last but one round now and am not rushing it as I know I shall miss this particular project when it is done. 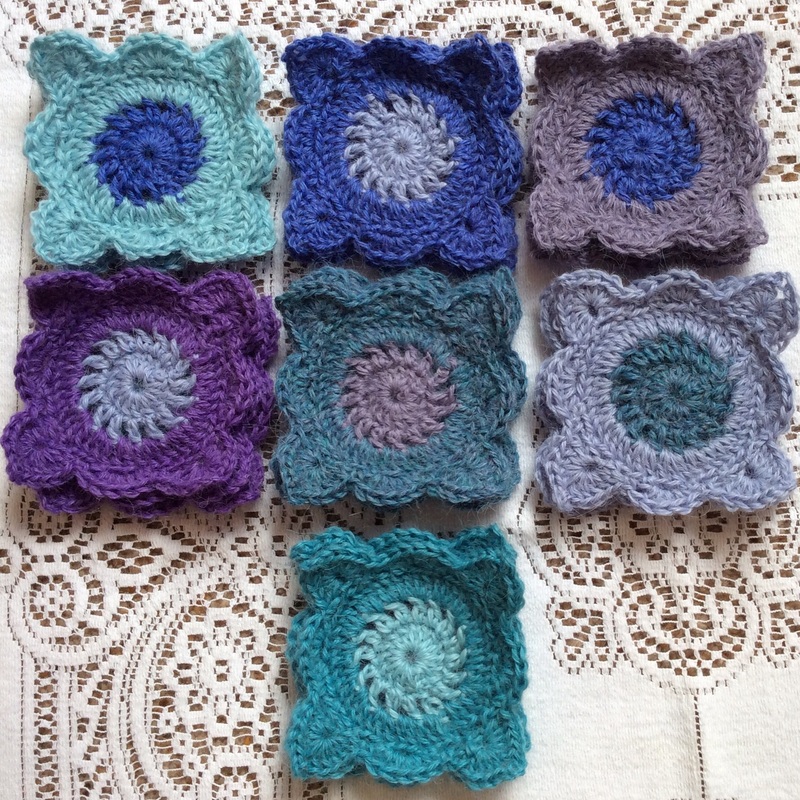 I have not mentioned my crochet course on this blog but since my last submission has been returned and another is almost ready to go I decided to incorporate an update on both those next time. 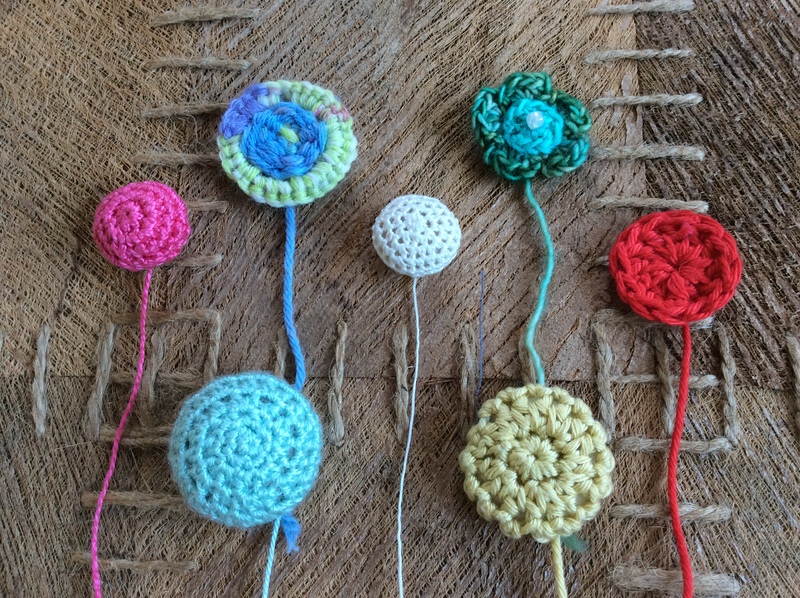 Required sample No 32 for the International Diploma in Crochet is “A varied selection of seven practical and usable crochet buttons”. 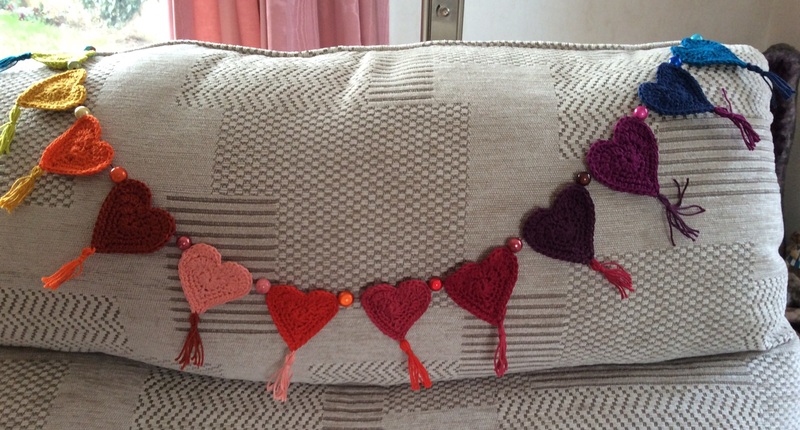 Sample No 33 is “A selection of five crochet braids”. …… so one of today’s tasks is to find a few more decorative designs and try them out. 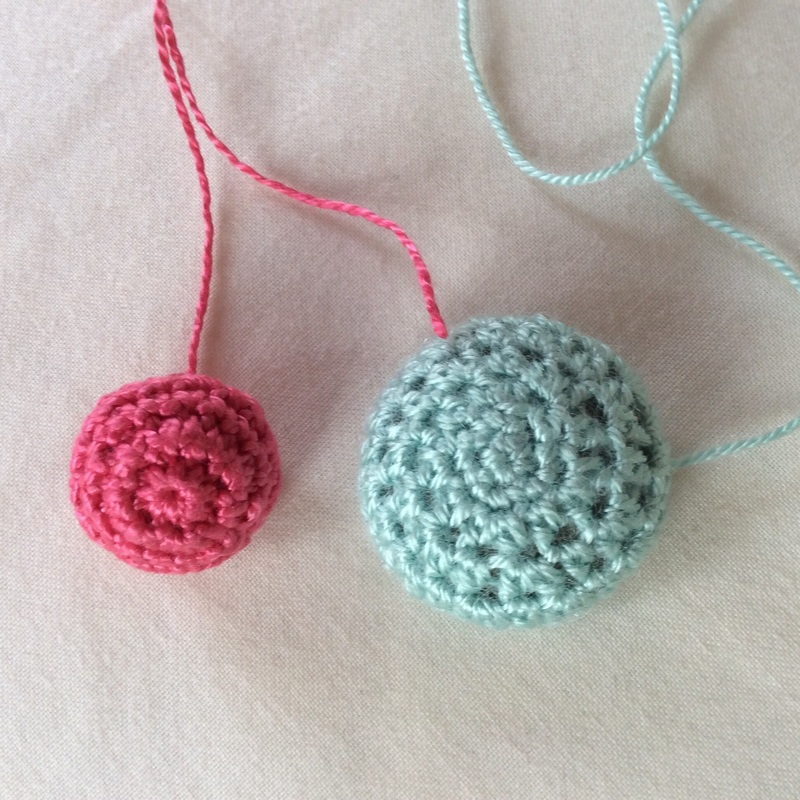 I have covered pebbles in crochet so the concept of an enclosed spherical item is not a problem but the fact that the button must not show through is a bit more testing and seven different examples seems quite a few. Braids, however, could prove more problematic since the definition of a braid seems to vary. What exactly is a braid and how does it differ from an edging? Must both sides be symmetrical as in a belt or bag handle or can one side be straight for sewing onto a piece of fabric? Some books describe braids as plaited which is something else again??? I love the fact that this course is challenging me to concentrate on all these ideas and concepts; I know that in order to extend myself I must take the plunge and some risks – safe is not an option in spite of it being my preference. 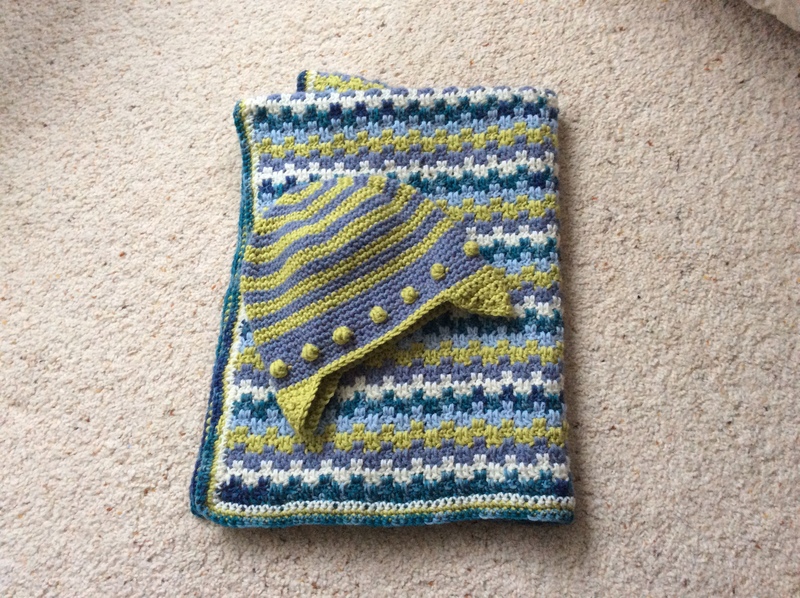 Last but by no means least …… my Brighton Plaid blanket is coming along. 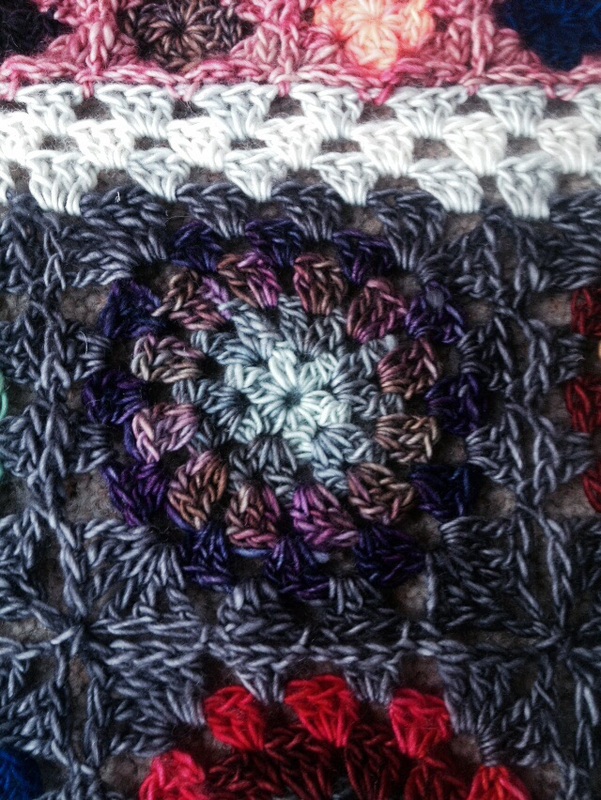 I just love the yarn and the fact that because it is hand-dyed different shades of colour appear in different lights. I am so, so pleased that it is a join-as-you-go design ……. 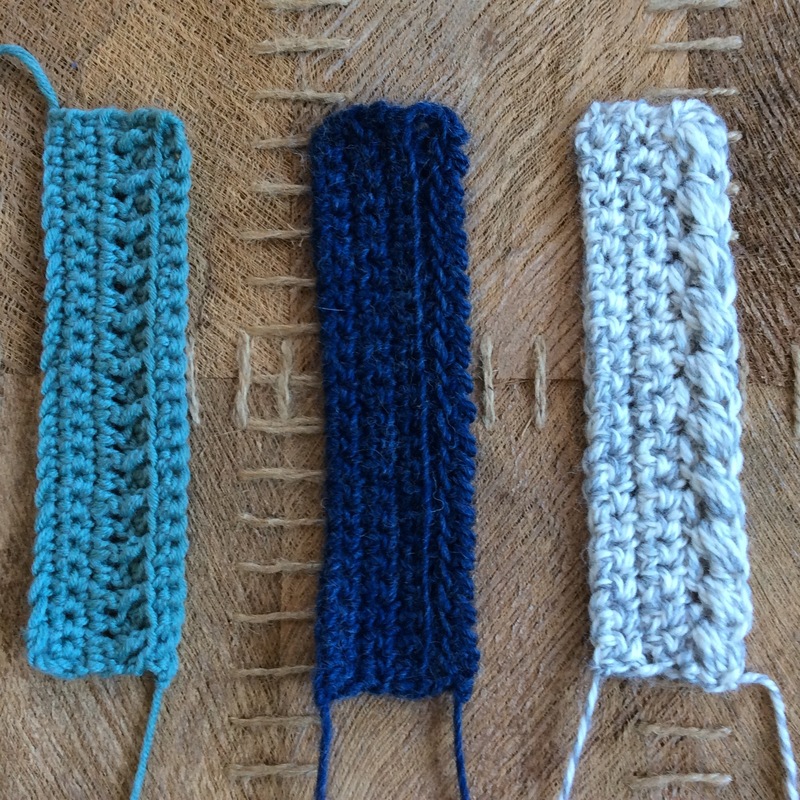 from tiny to middle-sized it grows as I go and whichever random choice of colour yarn I choose for adjoining squares, they all seem to go together so well. 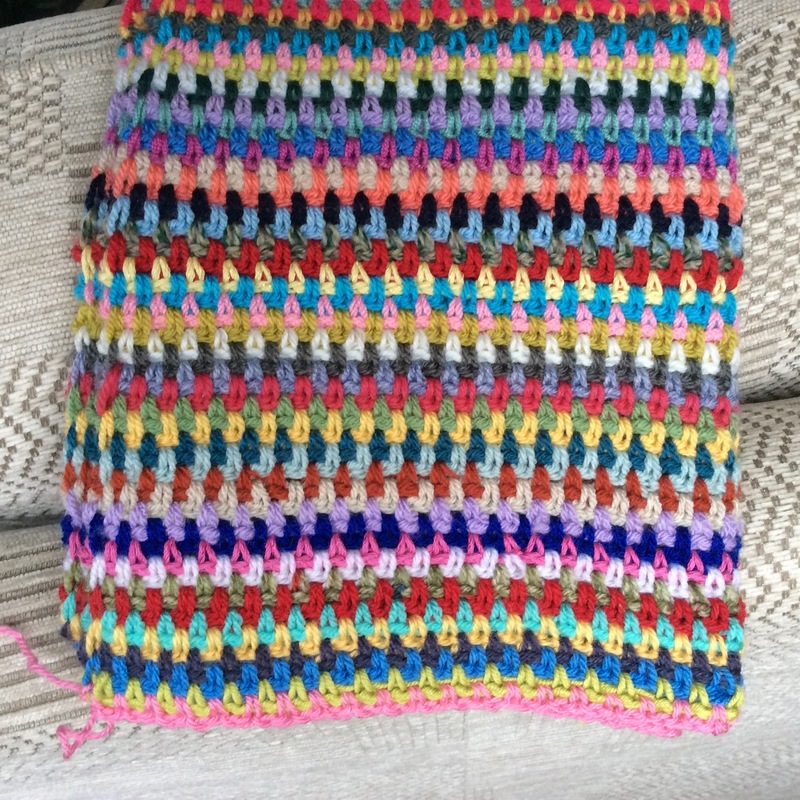 I’d happily swap weaving in yarn ends as I go for seaming everything together at the end of a project! At present I’m on the popcorn granny round; I thought the popcorns might prove tricky but not at all and the textured effect is lovely. Well, I’m off to research some buttons and braids this morning. Each to their own as the saying goes! My own ta-dah moment …… well, not quite but maybe! In my last post I hinted at something a bit special – well, this could be one of those projects. 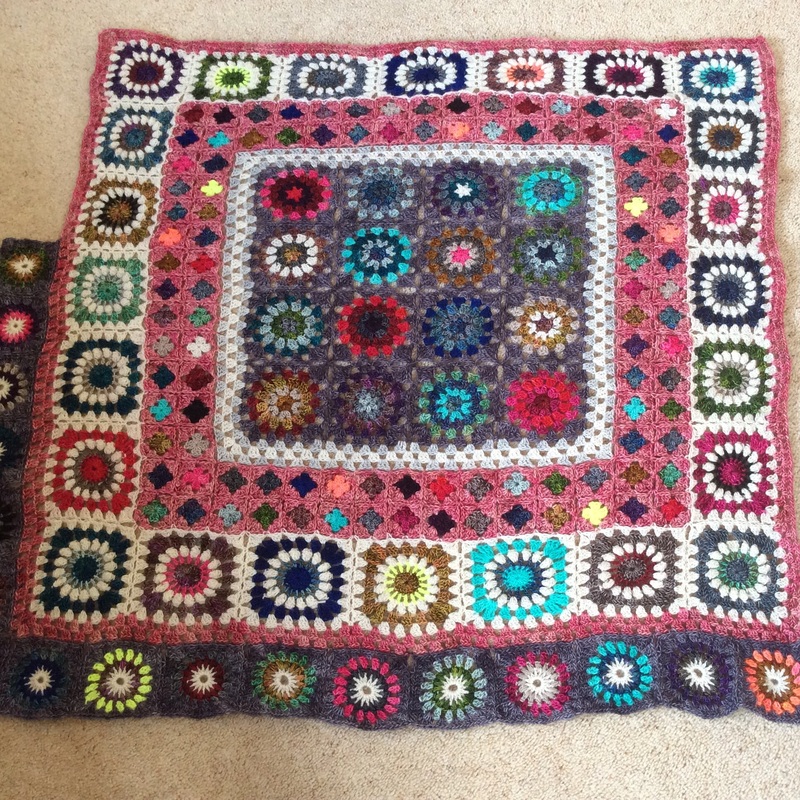 I might, just might, have designed my very own throw/afghan: loosely speaking, of course, because the overall visualisation of the design came from the sunflower blanket which one of my ladies had made and the individual motif design is one of Jan Eaton’s from 200 Crochet Blocks. 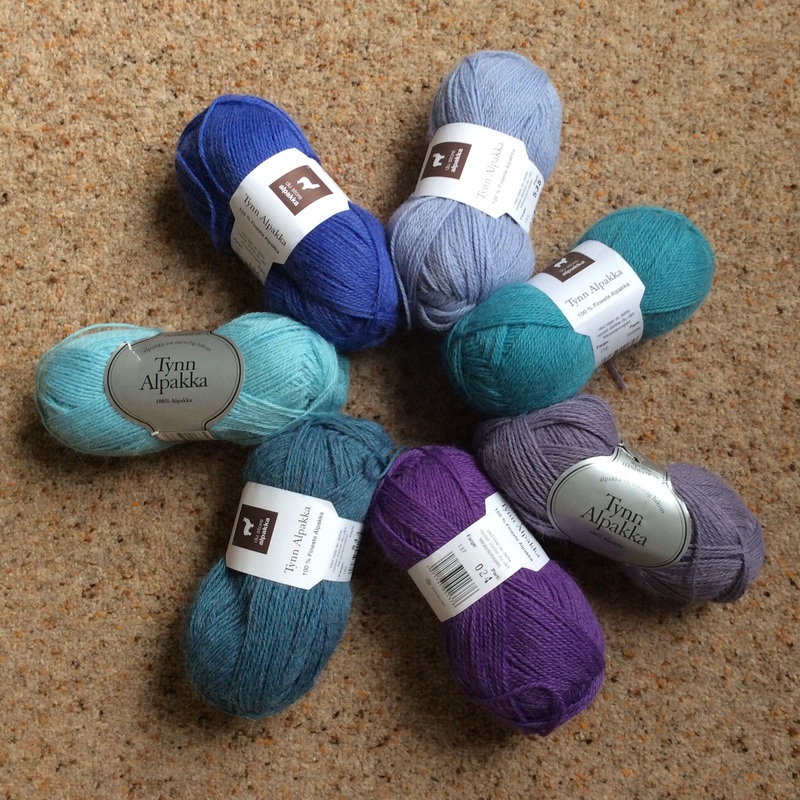 It all began with our Baltic Cruise and the visit to Oslo where I found these beautiful colours in 100% Tynn Alpakka 4ply – I couldn’t resist! 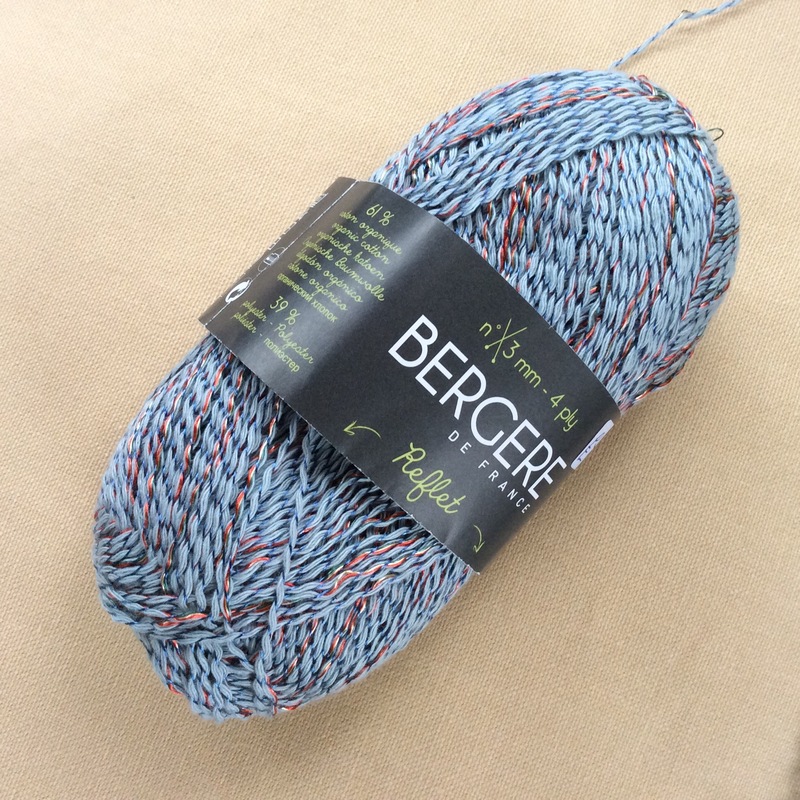 So, when we returned from France in August I had to make a decision as to how I was going to get the best effect from this gorgeous yarn. 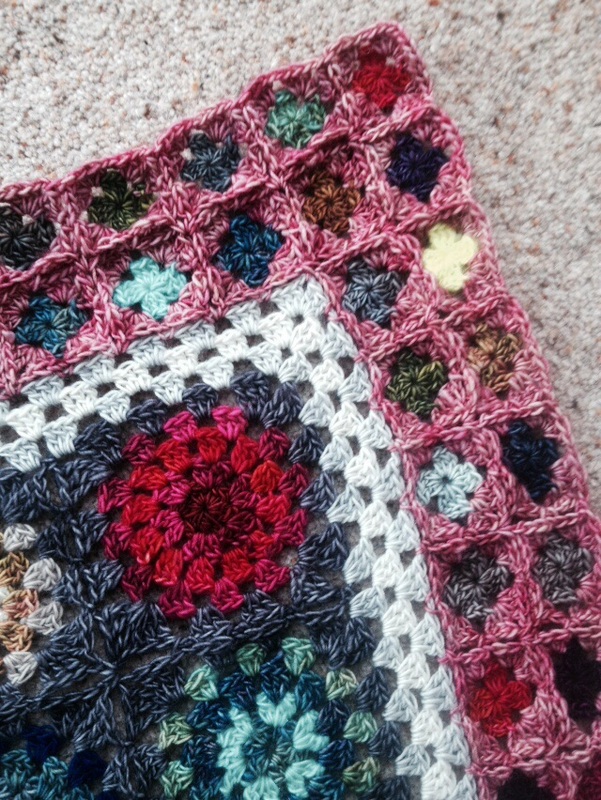 I had already seen and favourited The Mercerie’s Crochet Sunflower Blanket on Ravelry and had loved it when it had been beautifully made by a friend. Having chosen the Willow motif for the centre and border it was great fun to randomly use the colours and then join them together with the grey .. 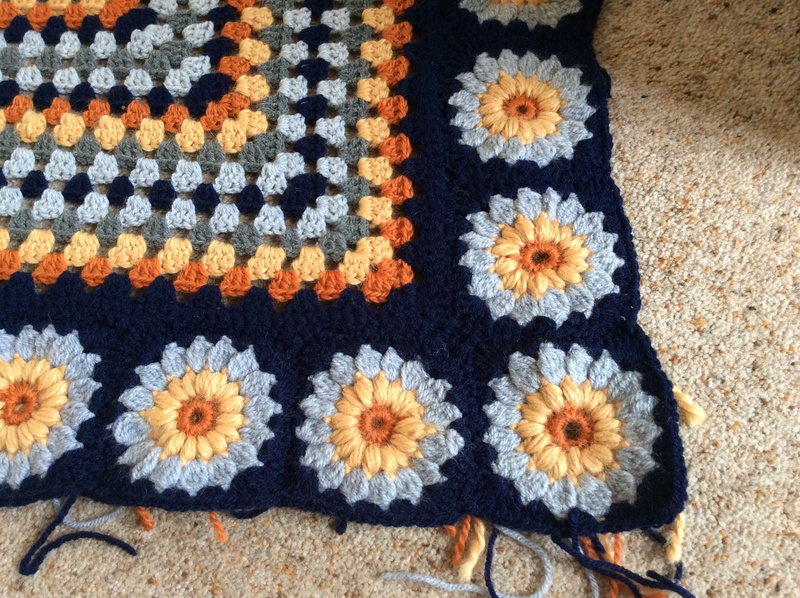 So far so good – and fortunately the granny stripes all seemed to work. I remembered to turn the work after each colour to avoid tilting and that does seem to have done the trick. 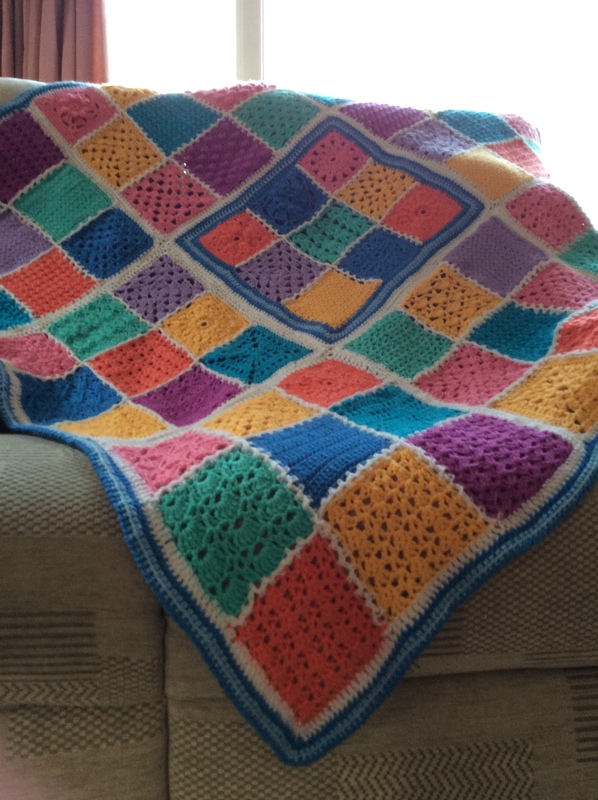 Why did we crocheters not know of that before? So many tilted squares would have been avoided! 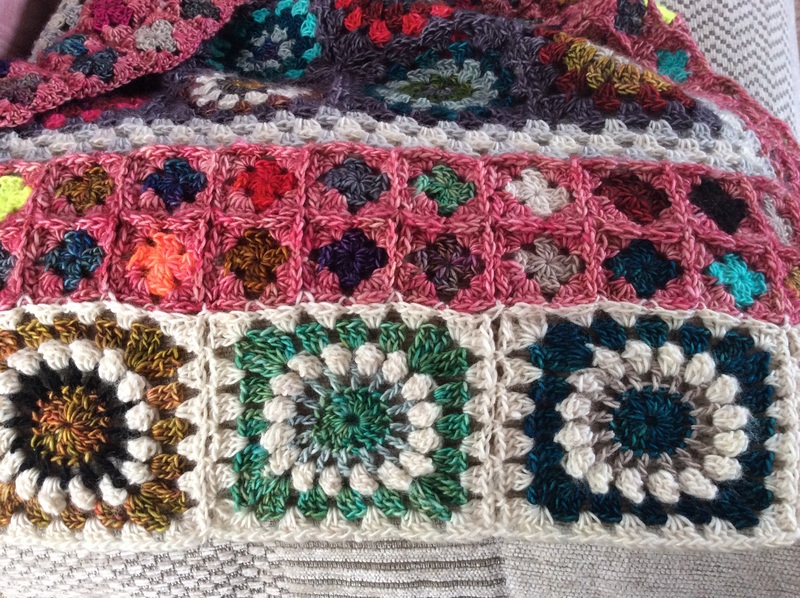 Now the challenge is to fit the centre into the border of motifs – I suspect that quite a bit of trial and error will be needed here as I have not been counting exact numbers of clusters and spaces. 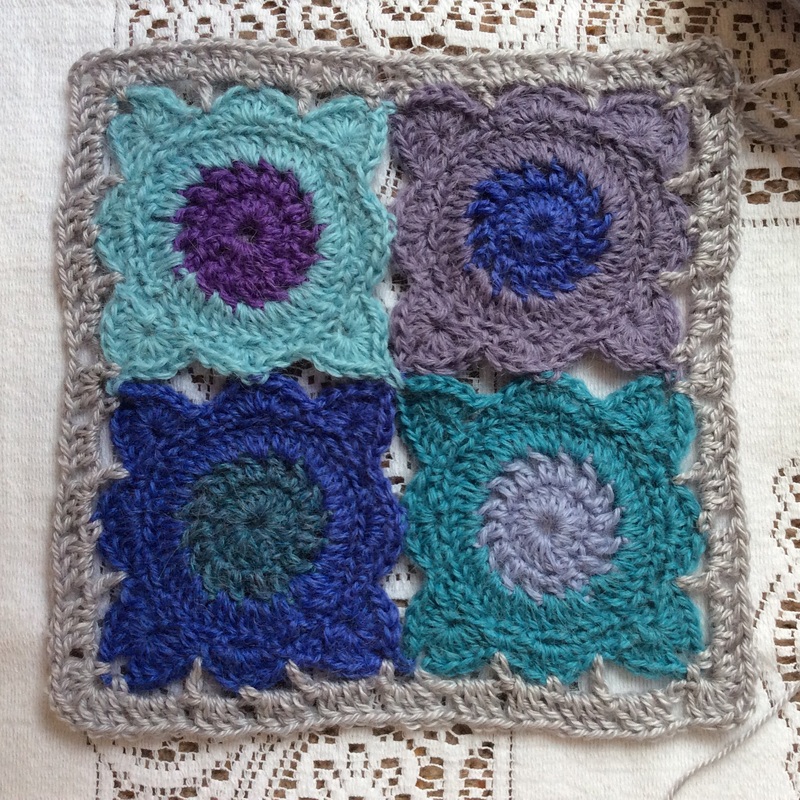 I merely measured each completed motif and have aimed to finish the central square at the correct dimensions. 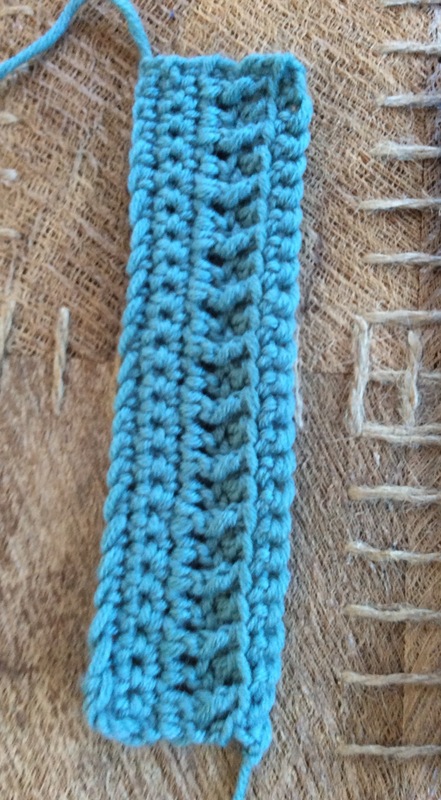 The wool is quite stretchy though so who knows how the joining will go …. 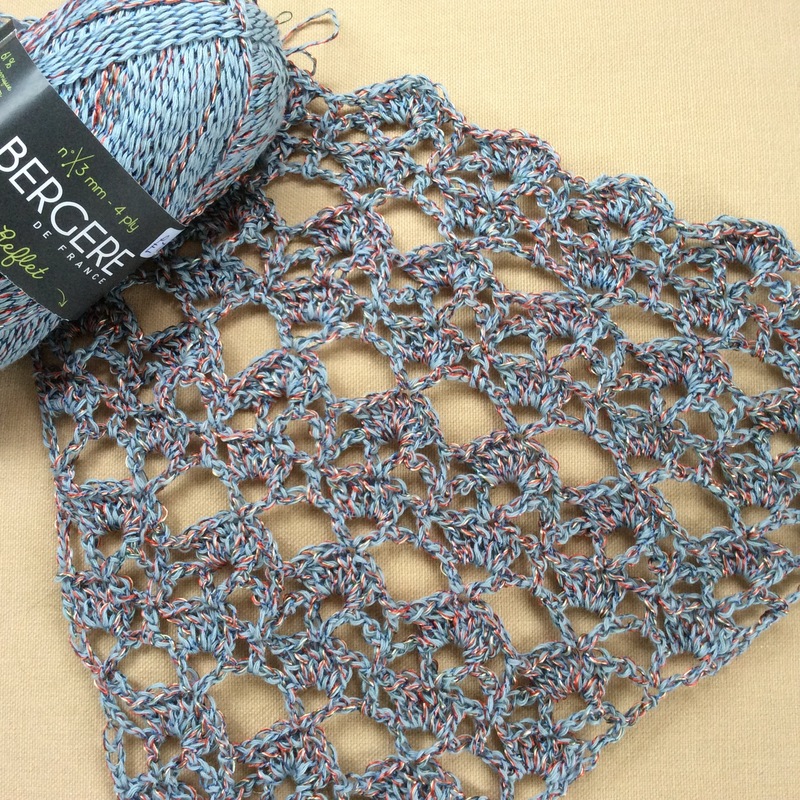 I am hoping to join with slip stitches on the final treble cluster round. will this all fit together? 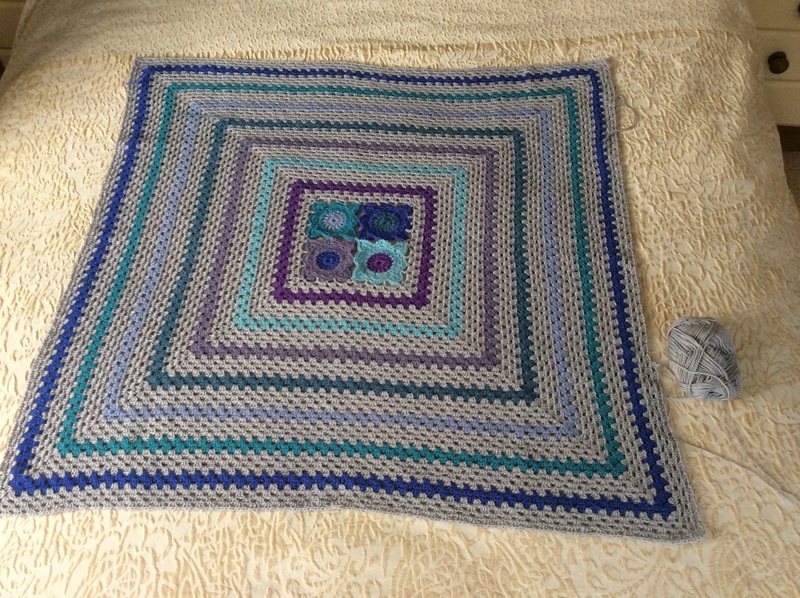 Well, that’s where I am at the moment and I’m really excited about finishing this project. 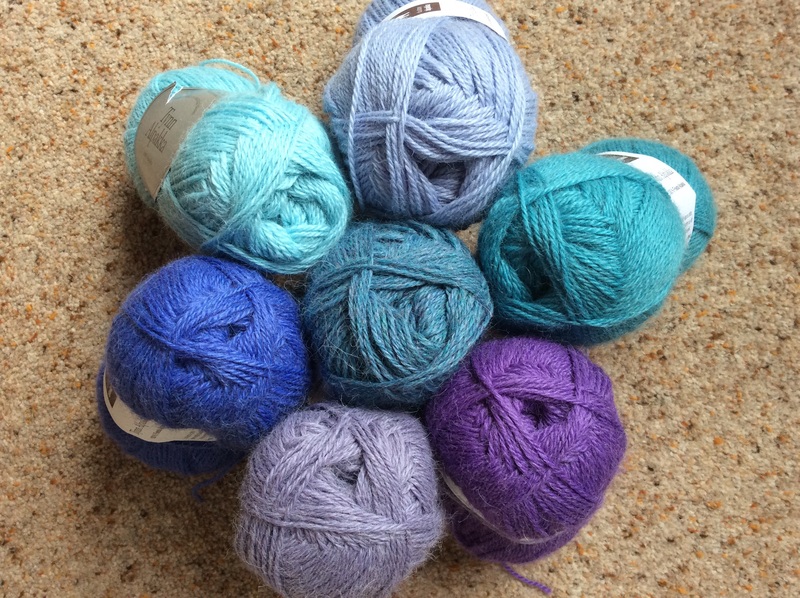 I shall then have to decide on a suitable edging using the yarn I have left – treble clusters, doubles, shells, picots or a combination of all these? Who knows? I just wanted to update you but there’s work to be done yet so I’d better say goodbye for now and look forward to that final ta-dah moment sometime soon!